The Canadian Mental Health Association, Ontario (CMHA, Ontario), Addictions Ontario (AO), the Centre for Addiction and Mental Health (CAMH), and the Ontario Federation of Community Mental Health and Addictions Programs (the Federation) would like to propose a change to the regulation defining which health service providers are permitted to create quality of care committees protected under the Quality of Care Information Protection Act. The Quality of Care Information Protection Act allows designated health service providers to share information internally for the purposes of assessing or improving the quality of care provided by the provider, and to protect such information from disclosure in legal or other types of proceedings. The legislation permits ‘prescribed entit[ies]’ to request that they be allowed to create a quality of care committee that is protected under this Act. Any information discussed by such a committee may be protected by law from being used in any type of proceeding external to the organization. The Quality of Care Information Protection Act is based on the recognition that improving the quality of care requires the sharing of information that could put a provider at risk, were that information to be disclosed inappropriately. It has come to our attention that mental health and addictions organizations are not included in the definition of a ‘prescribed entity’ under the Act. The prescribed entities are defined in the legislation and the regulation to include hospitals, long term care providers, laboratories, the Ontario Medical Association, and the Canadian Blood Services. We suggest adding community mental health and addictions agencies to the list of prescribed entities outlined in section 1 of Regulation 297/0, Definition of ‘Quality of Care Committee’. Community mental health and addictions agencies provide care to many people who are seriously ill and people who are at high risk of accident, injury and death. Our organizations are dedicated to ensuring the best possible intervention, support and care for vulnerable people. Critical incidents, such as the death of a client, do sometimes occur. It is important that our organizations are able to investigate these to see if there are quality of care concerns, without fear of disclosure. Apart from critical incidents, as part of continuous quality improvement, our organizations must be able to seek information about how to improve quality of care without putting themselves or their staff members at risk of reprisal. We look forward to your response. 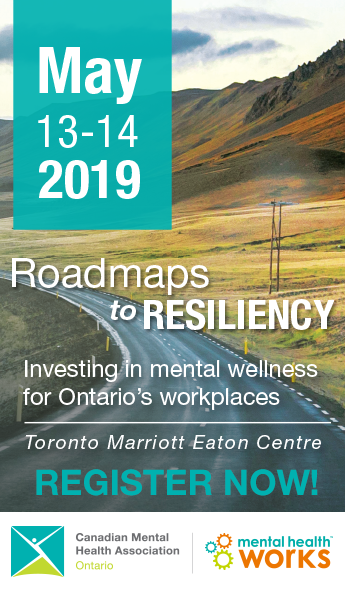 If you have any questions or if you require further information please contact Barbara Neuwelt, Policy Analyst, Canadian Mental Health Association, Ontario at 416-977-5580 x 4140 or bneuwelt@ontario.cmha.ca.